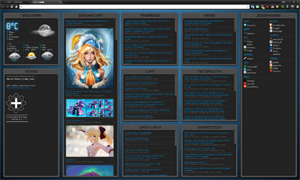 An extension for Chromium / Google Chrome that provides a customizable New Tab Page. This started out as an, locally hosted, feed reader and was converted to a chrome extension about a year ago. My original plan was to publish it on the "Chrome Web Store" but for that you need a "Google Play Developer" Account, that needs to be verified first via a credit card payment. Since I don't have/want a credit card I've never bothered to release it. Recently Google abandoned their Feed API (which I was using to grab feeds via JS) and while rewriting parts of the extension I've stumbled on the Alternative Extension Distribution Options. So this gets released after all... even if its arch linux only. I'm not an expert web developer by any stretch (this is just a hobby thing), so the code is functional but not beautiful. If you find bugs or have suggestions please let me know (code is on GitHub). Thanks for making this available. I wish the weather still worked, but this has become one of my favorite extensions. Hi, yeah the yahoo weather api has been retired it seems. I didn't realize that someone else is using this extension and since I'll never release it on the google store anyway I (again) made a standalone website out of it. However the new version, while being functionally and visually the same for the most part, is a complete rewrite besides the CSS. It uses a database for the config + caching, php for the functionality and some js for ajax and event handling. 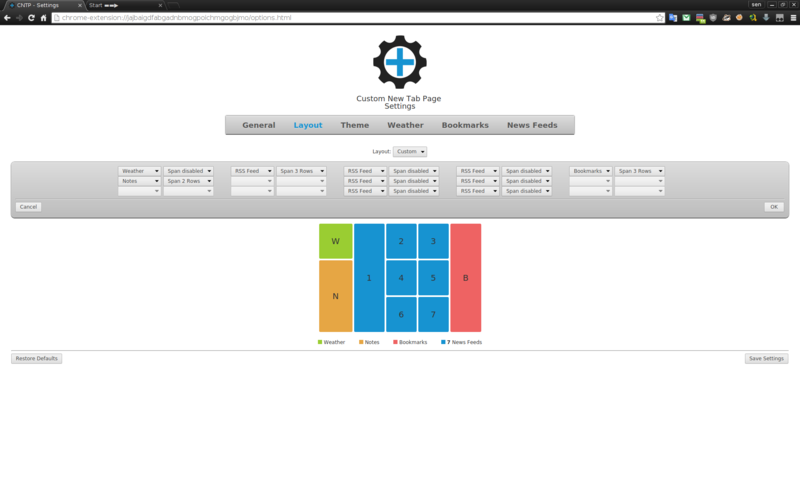 It's not finished yet either (config page and a login system / user management is missing). When its done, probably next month, I'll make the webserver public and also release the code on github for self hosting (requires LAMP). If you want to keep using the "chrome extension version" let me know. 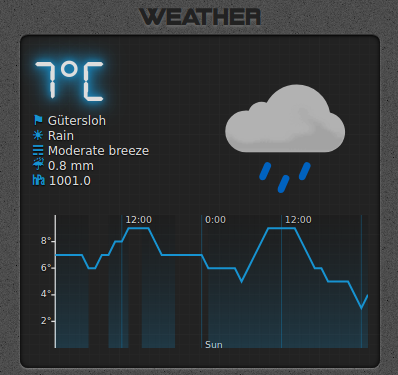 There are probably other weather apis that can be quickly integrated in the old js version.